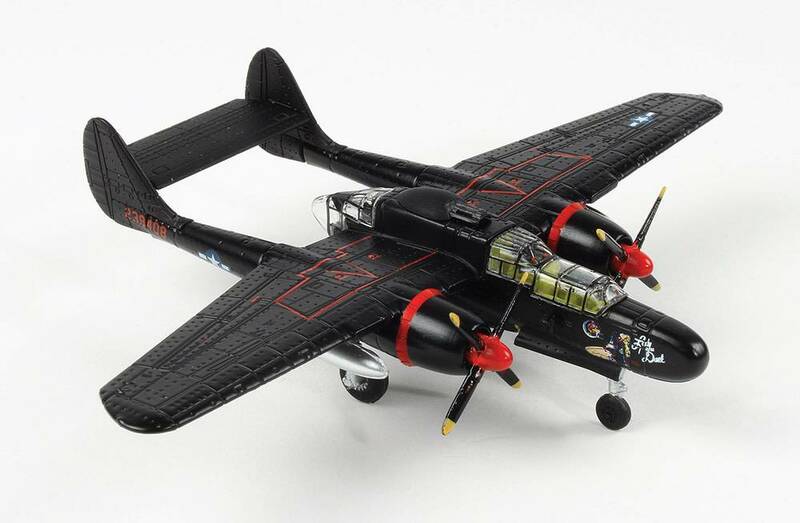 P61B Black Widow 548NFS USAAF Lady in the Dark Maj.Kendall Smithsonian Srs 1:144 with stand by Air Force 1 Model Co.
More Air Force 1 Model Co.
Air Force 1 Model Corporation was founded in 2001. The China based company produces high quality hand-made models, moulding, zinc alloy and plastic die casting, static spraying, and tampo printing. Air Force 1 diecast models are mainly military subjects, and are produced in various scales. 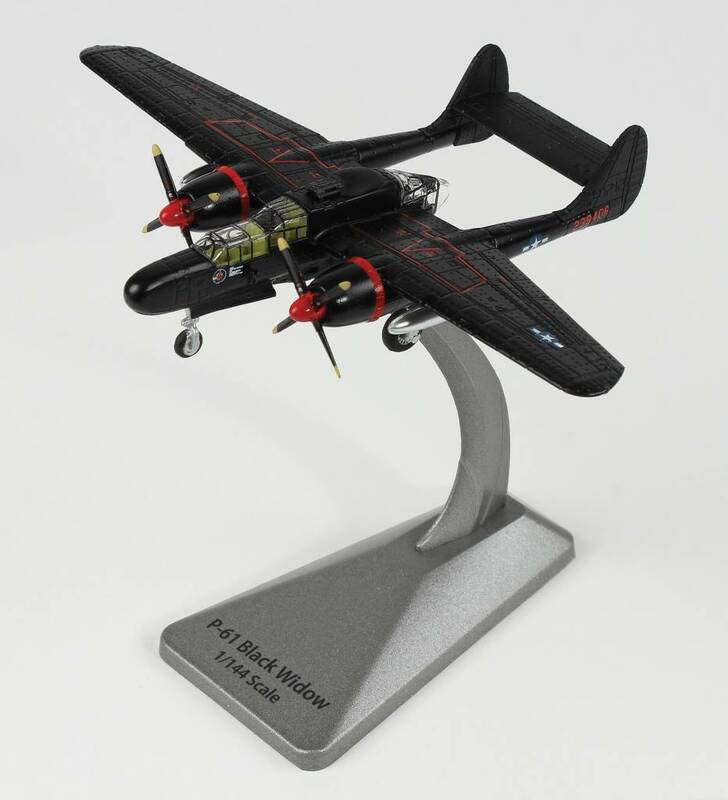 Smithsonian Series: The Air Force 1 Models Smithsonian Series is a high quality line of diecast models of historically significant aircraft which are on permanent display at the Smithsonian Museums in Washington DC.